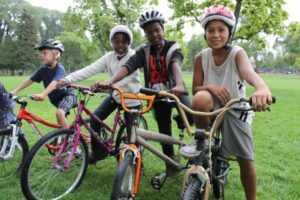 Because of the popularity of PBC’s Earn-a-Bike program, they’ve decided to launch a new camp for youth ages 6-18. “Provo Bicycle Collective is excited to announce a summer full of programs designed to help youth learn problem-solving, safe riding, and bicycle mechanic skills! Bike School is a week-long day camp designed to teach youth safe bike riding and basic bike mechanics through hands-on experience. They experience everything from fixing a flat, to learning how to ride safely to school, to riding their bike on the Bonneville Shoreline mountain bike trail.